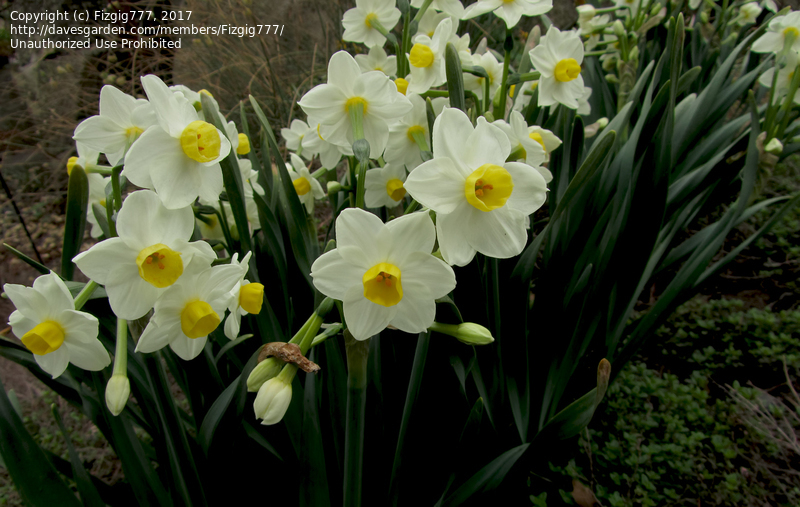 Blooming in late February in northern California. 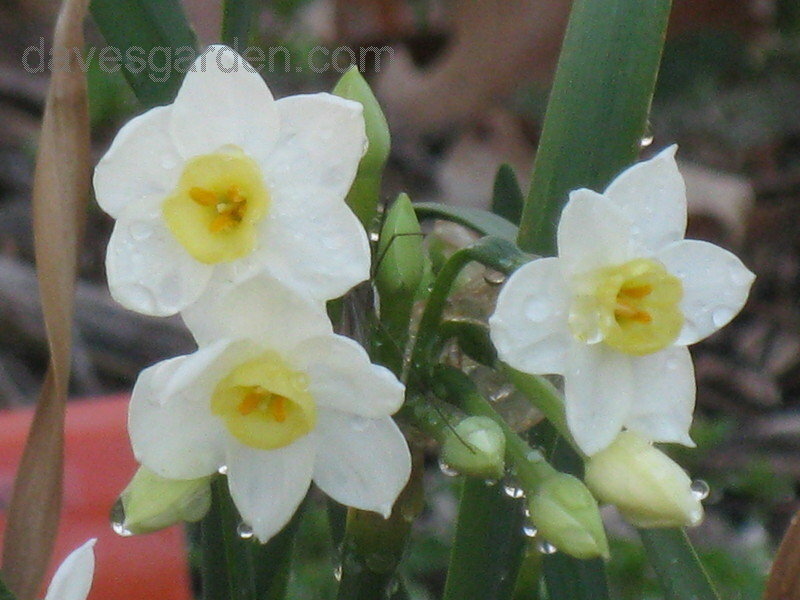 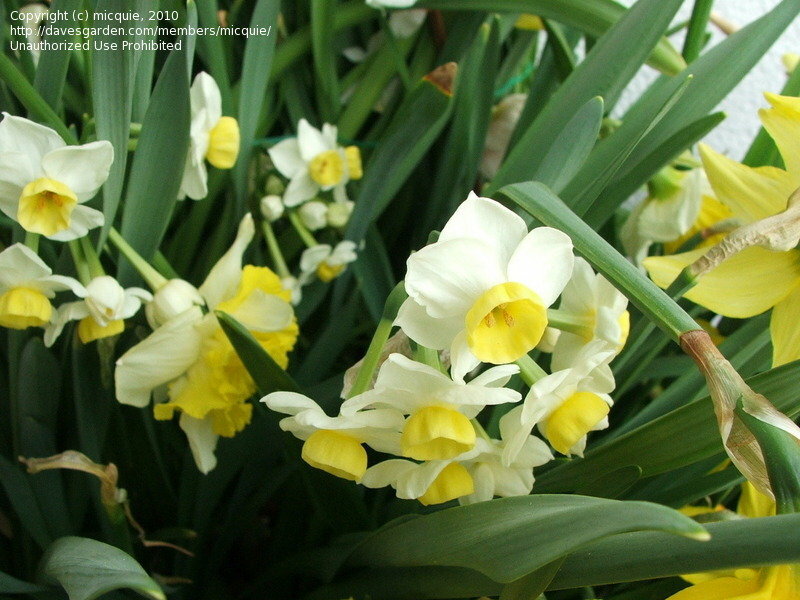 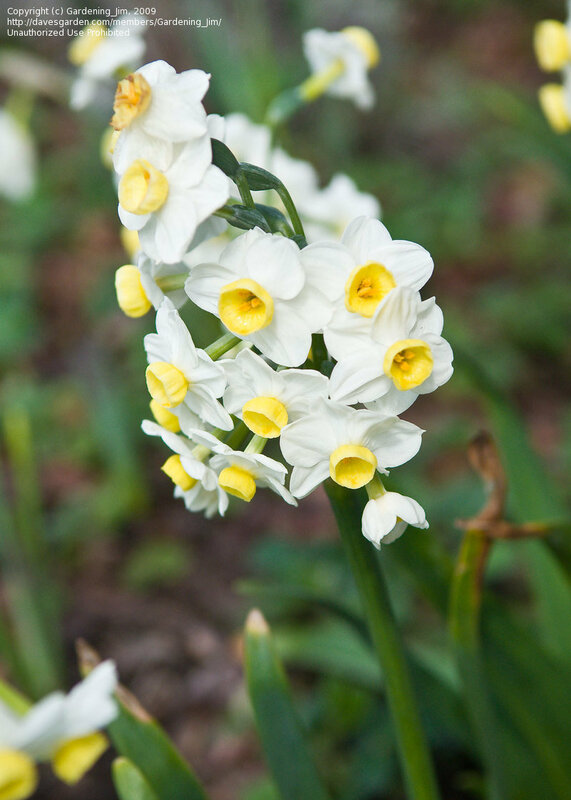 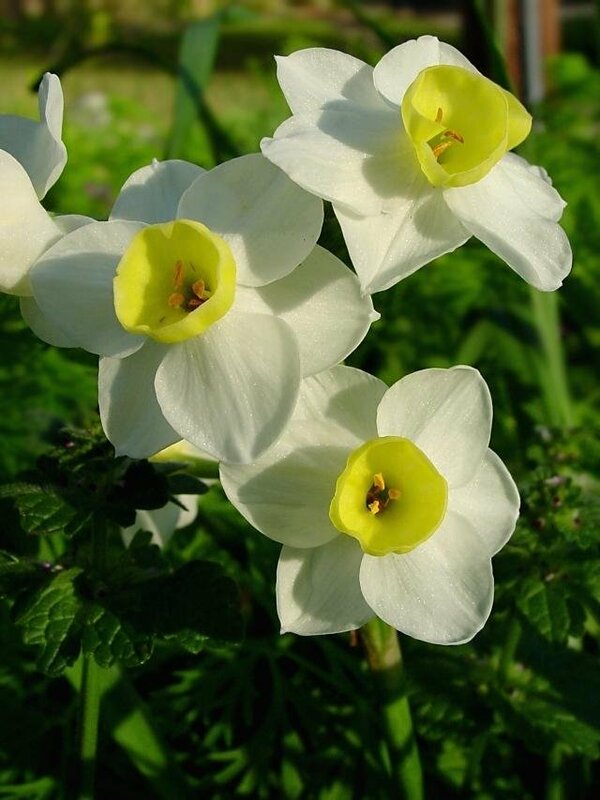 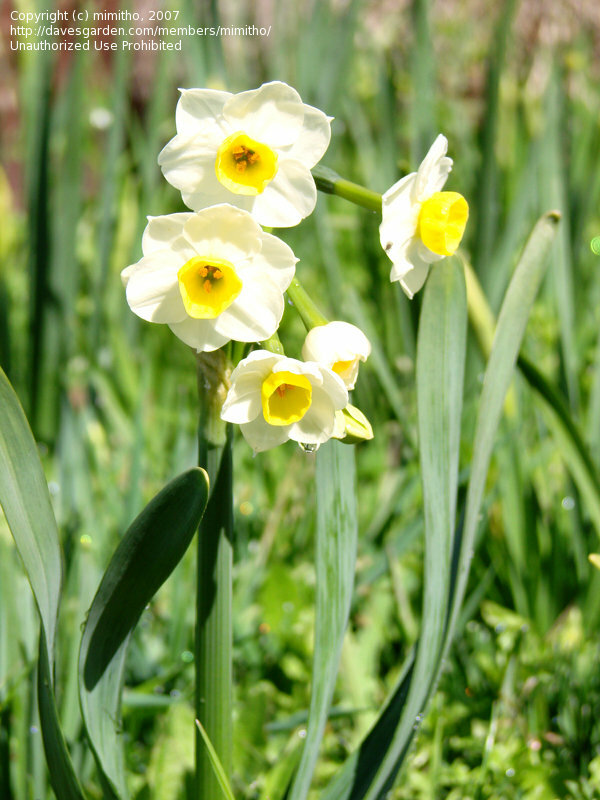 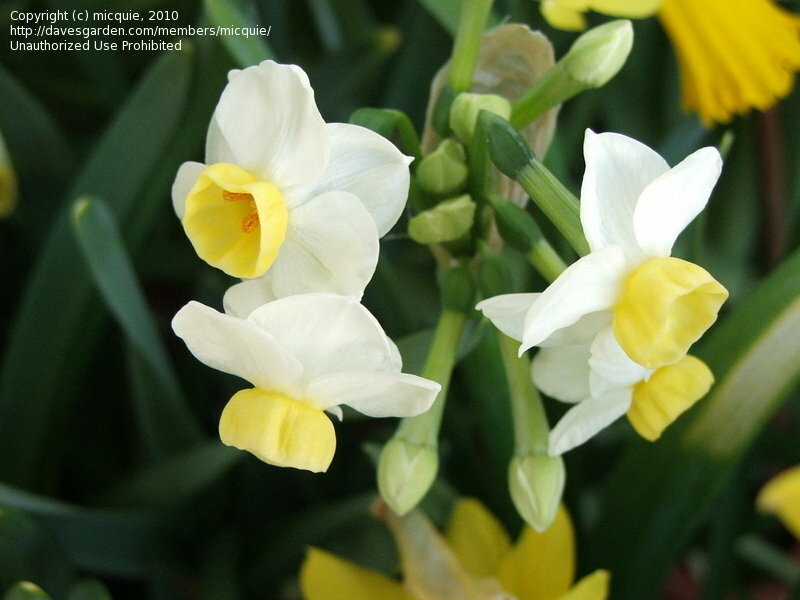 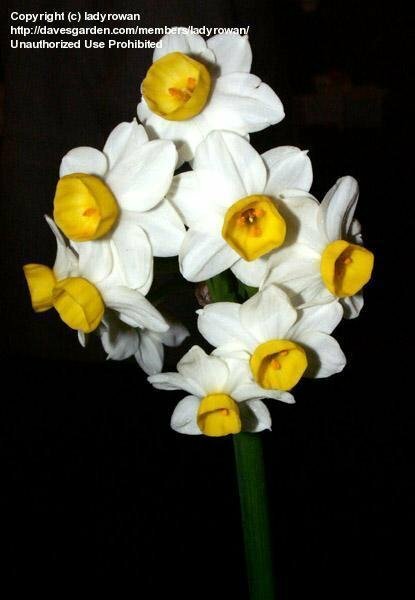 Tazetta Narcissus (Tazetta Daffodil Narcissus) 'Avalanche' is bunch flowering, strong stemmed and very floriferous. 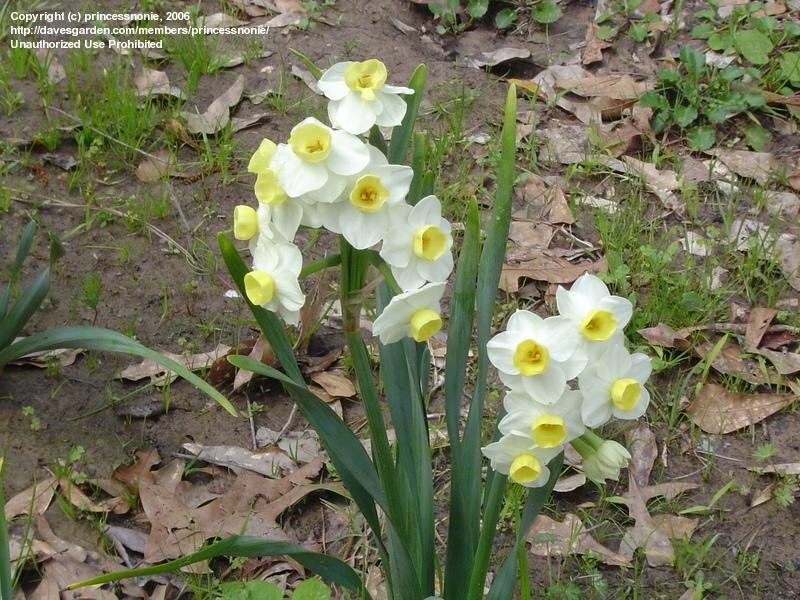 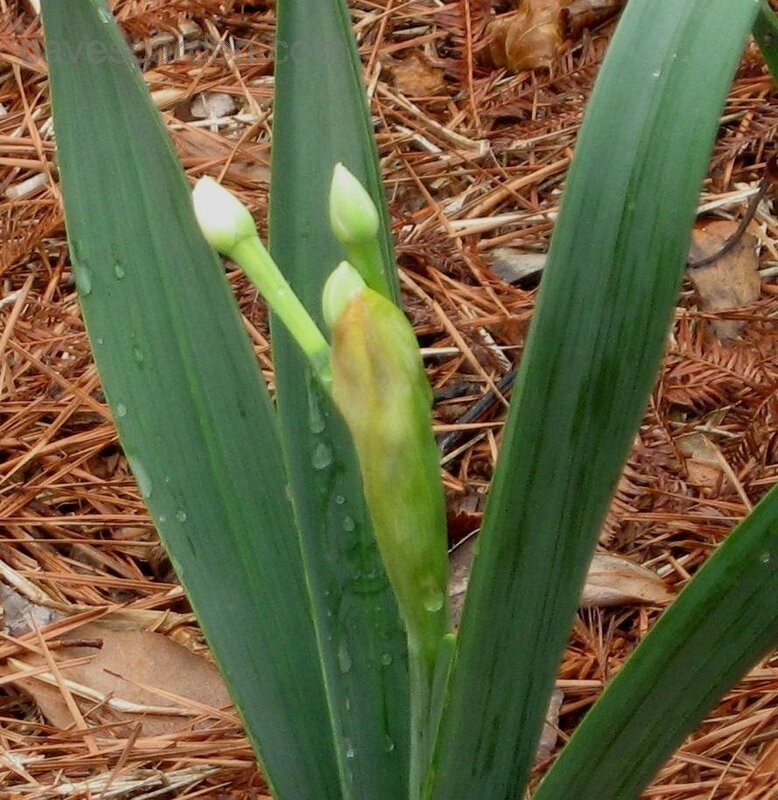 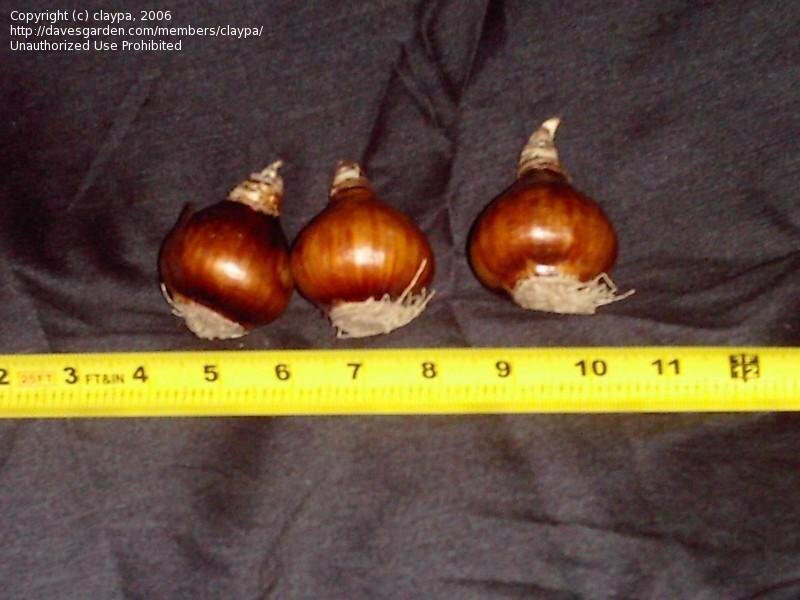 It usually has three to eight blooms per stem ... shown in morning light. 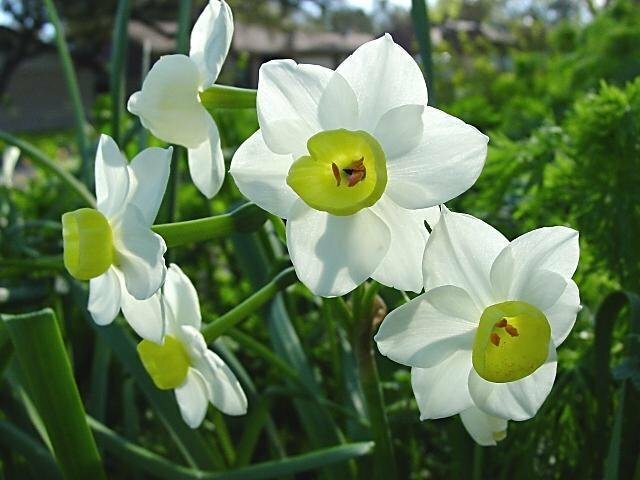 Tazetta Narcissus (Tazetta Daffodil Narcissus) 'Avalanche' is bunch flowering, has a slightly musky fragrance and long lasting blooms ... shown backlit by late afternoon sunlight.